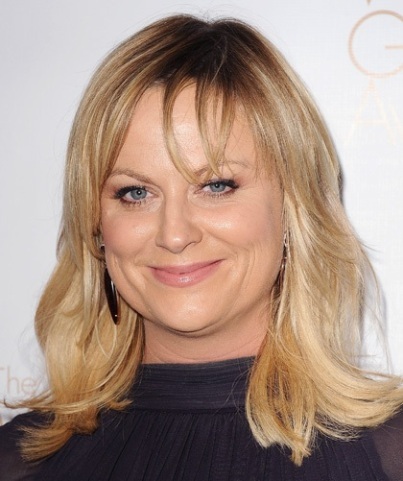 Amy Poehler’s blonde hair is cut in a medium-length, bob with side bangs. 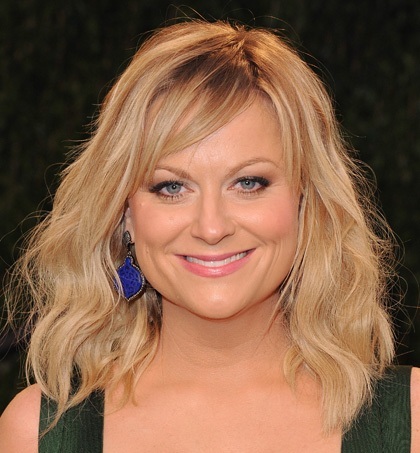 Wavy..
Amy Poehler’s blonde hair is cut in a medium-length, bob with side bangs. Wavy hair and layers make her fine hair appear thicker. Amy Poehler’s medium-length, wavy, blonde hair is styled in a classic, low ponyt..
Amy Poehler’s medium-length, wavy, blonde hair is styled in a classic, low ponytail with side bangs. Amy wore this hairdo to the 2013 Costume Designers Guild Awards at the Beverly Hilton Hotel in Los Angeles. 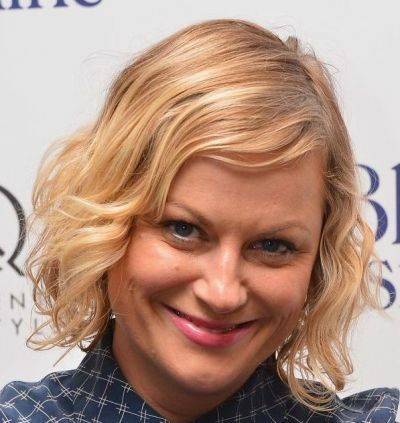 Amy Poehler’s fine, curly, blonde hair is cut in a chin-length bob hairstyle with..
Amy Poehler’s fine, curly, blonde hair is cut in a chin-length bob hairstyle with side bangs. Amy wore this playful hairstyle to the premiere of Blue Jasmine in New York in 2013. 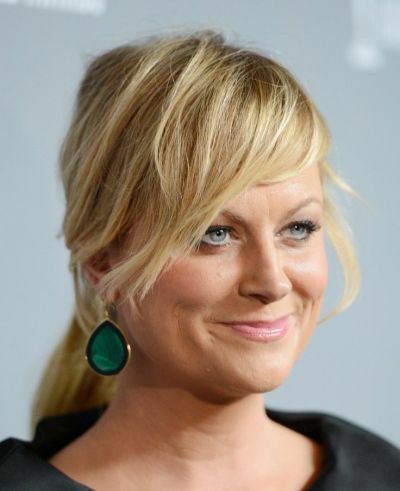 Amy Poehler’s medium-length, blonde hair is styled in an elegant chignon. Her si..
Amy Poehler’s medium-length, blonde hair is styled in an elegant chignon. Her side bangs are tucked behind an ear in this mature updo. 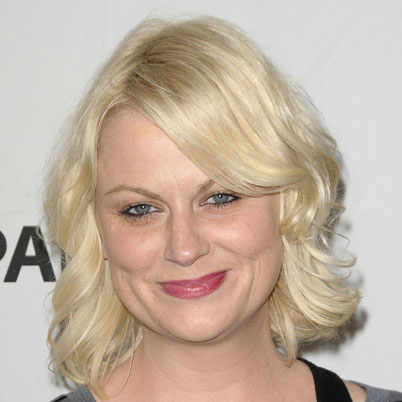 Amy Poehler’s blonde hair is cut in a medium-length flirty hairstyle. 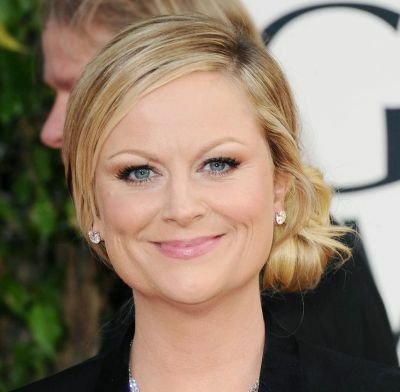 Subtle wav..
Amy Poehler’s blonde hair is cut in a medium-length flirty hairstyle. Subtle waves were created by scrunching and drying with a diffuser attachment. Amy’s full sideswept bangs frame her face giving her a more youthful appearance. This is one of the most popular hairstyles of 2013. Amy Poehler’s medium-length blonde hair flips up at the shoulders. Her wispy ban..
Amy Poehler’s medium-length blonde hair flips up at the shoulders. Her wispy bangs graze her eyebrows hiding wrinkles in her forehead. This style will make wearers look younger.